Acquired in 1984, this former dry stock farm has been developed solely for the purpose of raising yearlings. Weanlings enter the farm in late autumn and remain there until they go to sale the following autumn. 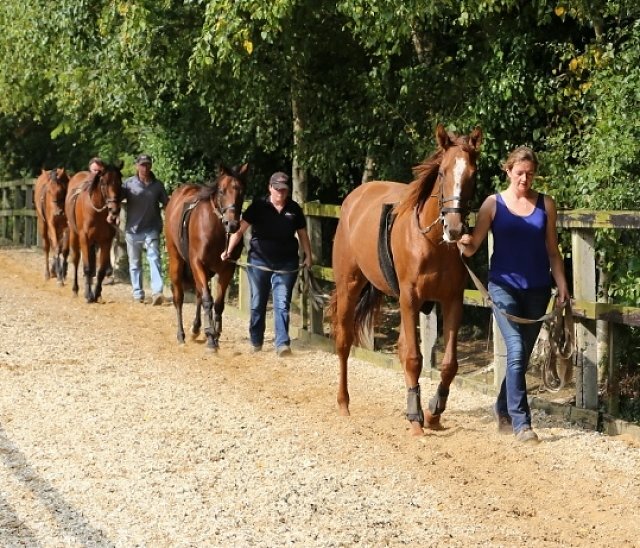 Kilmacredock can accommodate forty yearlings. It comprises of two American style barns, conventional loose boxes and an isolation yard, two indoor and two outdoor lunging rings, an indoor school complete with horse walker surrounded by an all weather outdoor walk to complete the facility. Airlie continues to maintain it's position as a leading vendor at all the major European sales.